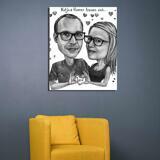 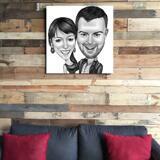 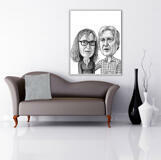 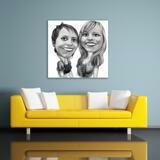 Order a funny caricature drawing of couple, which will be drawn in black and white pencils style. 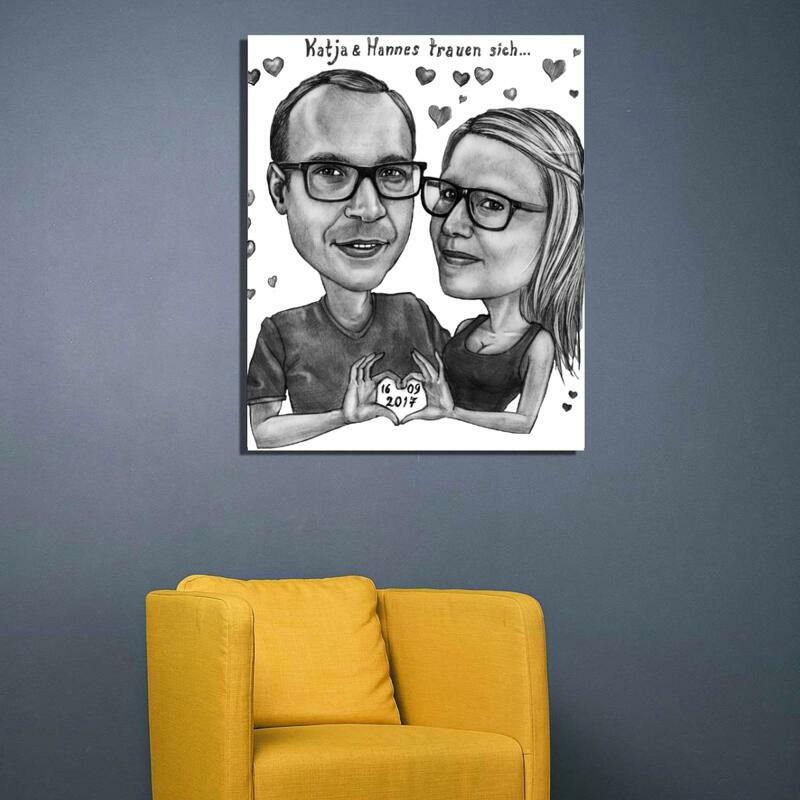 Caricature will be drawn by professional caricaturists, so you will be extremely surprised with a final ready-made drawing, which will be emailed to you as a JPG File. 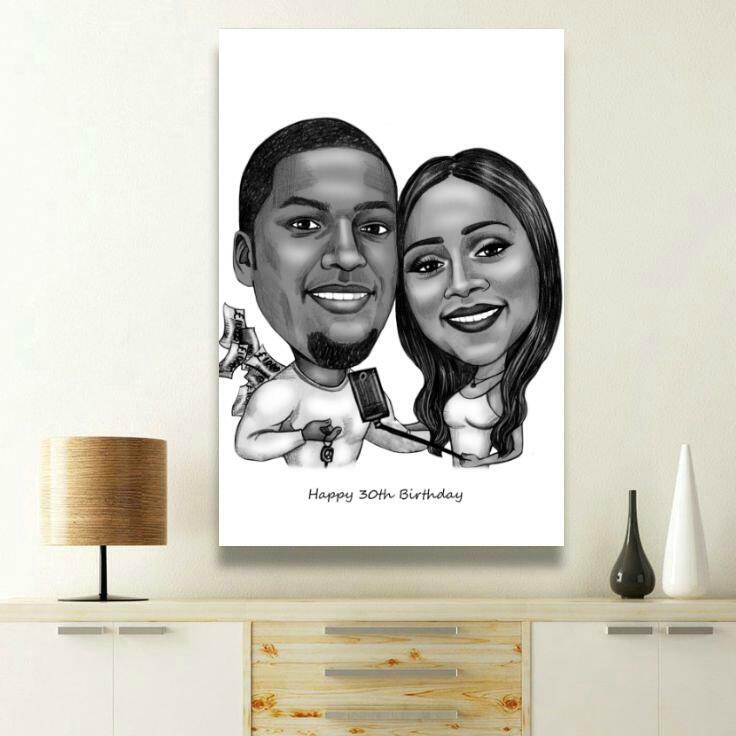 Caricatures of couples are popular for gifts for your best friends, colleagues, soulmates, or for couple like spouses, grandparents and other family members, who can get such an original drawing on their Wedding Anniversary, Birthday, Retirement, Thanksgiving Day or Labor Day. 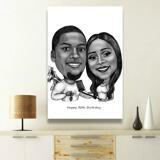 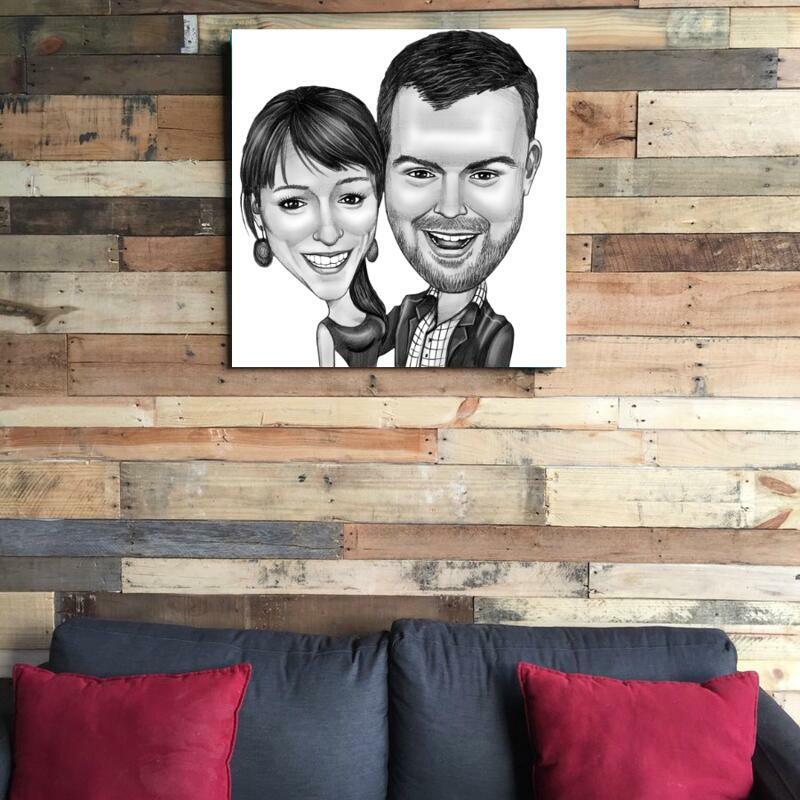 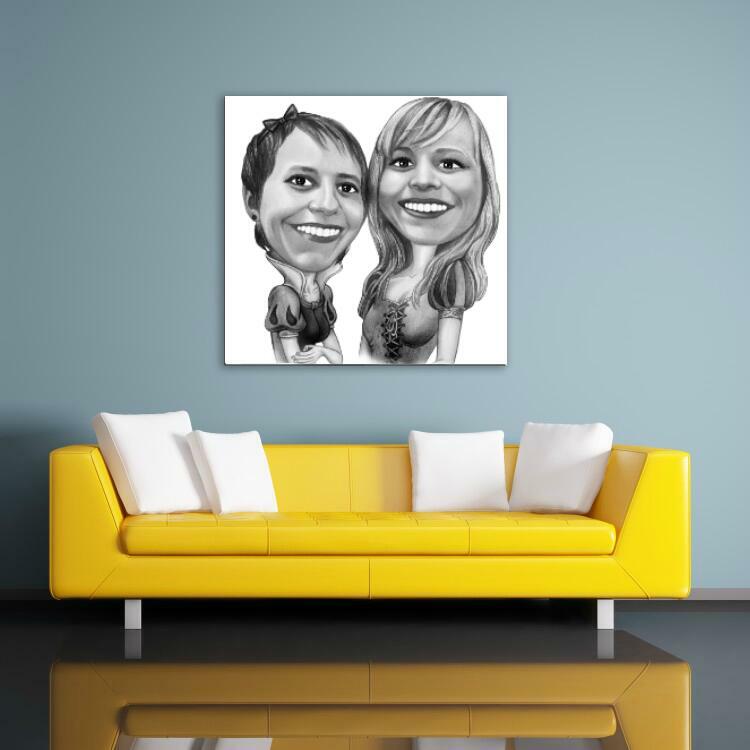 If you would like to make a creative and memorable gift for that couple, then caricature drawing printed on a durable stretched canvas will make an excellent gift idea which can be shipped to you worldwide, regardless of location. 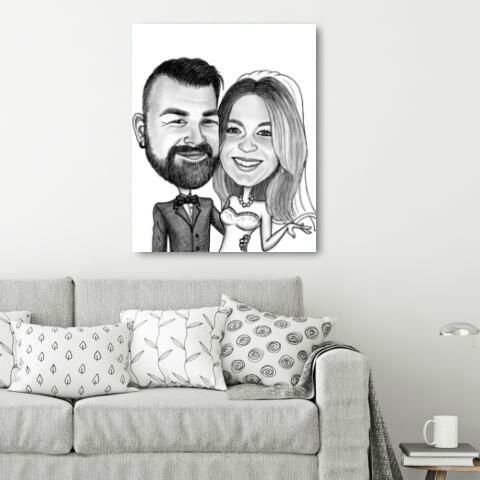 Canvas print will be mounted onto a wooden of the selected size, which you can choose below, In case you have specific requirements for a caricature drawing, please mention them below and we will make it happen.